Andrea Machuca didn’t expect to fall in love with cheese. She grew up near Los Angeles, where she liked to buy a “bunch of ingredients from the local Farmers Market” and experiment in her kitchen. “Out of high school, I decided to go to the local community college,” says Machuca. “I didn’t know what I wanted to do. I took philosophy courses and worked in a café.” A few years later, Machuca realized that her love of food was more than just a passing whim—it was her passion. She enrolled in culinary school and hasn’t looked back since. Machuca found a formative job at a beer and cheese shop called Bruery Provisions in Old Towne Orange, California, where she “fell for pairing cheeses with beer and wine, but especially beer.” She worked her way up to help run the cheese counter and soon became the shop’s pairing authority. 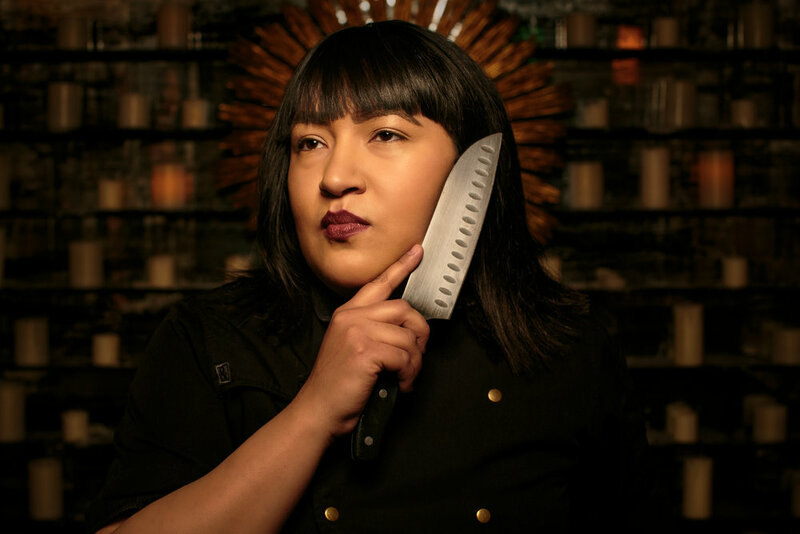 Culinary degree in hand, Machuca cooked her way through restaurants across Orange County, bringing her signature creativity and spark wherever she landed. She launched the Barnstormer Bar at Nieuport 17, creating a menu which featured dishes like savory bone marrow panini, bacon fat popcorn and beet tacos. At the Iron Press, Machuca experimented with Captain Crunch and condensed milk waffles to much acclaim. Beemster cheese became a trusty tool in her arsenal. “No matter where you go, everyone always loves Beemster,” she exclaims. Chef Machuca's XO Fudgy Coffee Brownies. Click for her recipe! Another reason Machuca uses a lot of Beemster: “all the employees love it, as do the sommeliers…and the guests, too.” She serves XO, Classic, and Premium Goat on a cheese plate with marcona almonds roasted in “campfire salt,” a flavorful combination of ground Stumptown coffee, cinnamon, sea salt, black garlic, and brown sugar. Machuca also bakes Beemster XO into dense, chocolaty brownies, with a hint of cardamom and coffee. “They’re cakey on the outside and fudgy on the inside,” she says. 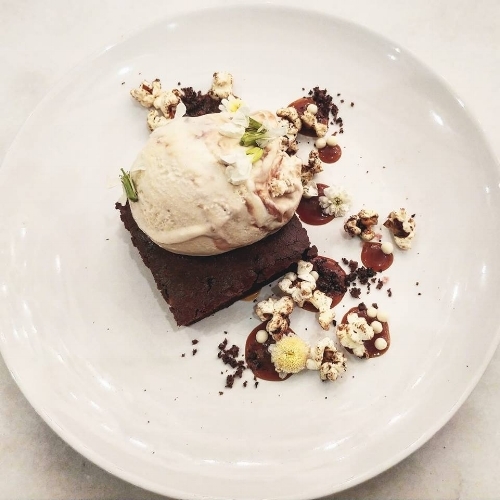 “And when you cut through them, you can see the melted Beemster.” At BXCR, she serves these brownies with chili popcorn and peanut butter ice cream for a very popular dessert. When she’s not working magic in the kitchen, Machuca can be found mountain biking, hiking, and sipping local beer. As for work, Machuca’s favorite moments are seeing her customers as excited and inspired as she is…which happens often. Talking to Machuca or eating her food, it’s contagious.